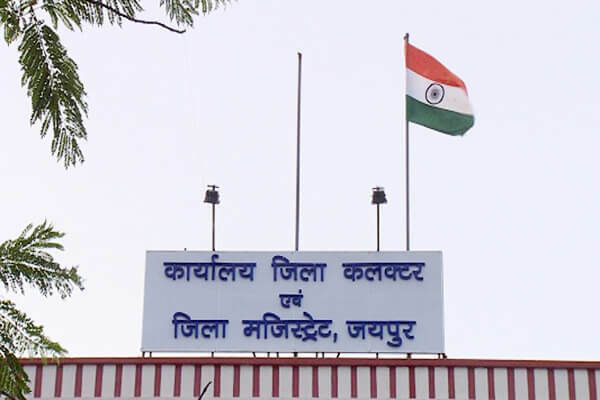 The institution of District Collector, as it exists today, was created and developed during the British rule and has become a unique feature of Indian public Administration. With change in time, District collector roles and responsibilities have changed and multiplied but it is still plays a vital role as the bridge between union-state and local government. India is organised administratively into Union, states, districts, sub-divisions, blocks and villages but “District” is the principal unit of territorial administration in India. The Mauryas were the first to constitute ‘district’ as prominent territorial unit and to centralise its administration with all powers concentrated in a single officer called the Rajuka. However, the origin and development of development of district as a territorial unit for for purpose of revenue collection and administration came to acquire significance in 1772 under East India Company when on 14th May, Warren Hastings created the office of Collector with revenue and judicial functions united in the same person.By 1786, the district came to occupy a central place in the scheme of local administration. Collection of nearly all government dues including government loans, excise revenue, mining cess, royalties etc. Assessment and collection of land revenue. Supervision of treasury & sub-treasury. All matters related to land reforms, land records and land acquisition. Issue certificates of domicile, scheduled and backward classes. Issue custody/detention warrants under special anti-crime/security enactments e.g. NSA. To issue orders when there is threat to public peace and order under section 144 of the Criminal Procedure Code. Exercise control over field offices like sub-divisional and tehsil headquarters. Chief protocol officer of district – arrange VIP stay & visit. The Collector, with the assistance of the district-level staff, is responsible for the implementation of majority of developmental works and schemes in the district. Coordinate activities of other agencies/departments at the district level. Acts as the crisis administrator-in-chief during natural calamities and other emergencies. Chairs the District Disaster Management Committee (DDMC), which is responsible for making advance plan to mitigate the effect of impending disasters and provide assistances for protection, relief and rehabilitation in the face of such disasters. DC is designated as District Election Officer (DEO) and function as Returning Officer (RO) in Parliamentary elections. In other elections, all RO’s function under DC’s superintendence. DC is also responsible for preparation/updation of electoral roles and holding of free and fair elections in the district. Enforce provisions of the Essential Commodities Act and related Rules and Orders. Any function of the government in the district, which is not allocated to any line department automatically, comes within the jurisdiction of the DC. Licensing & Regulatory: The Collector is the licensing and regulatory authority under various special laws such as Arms and Cinematography Acts etc. in the district. The district collector is also chairman of large number of committees at district level.